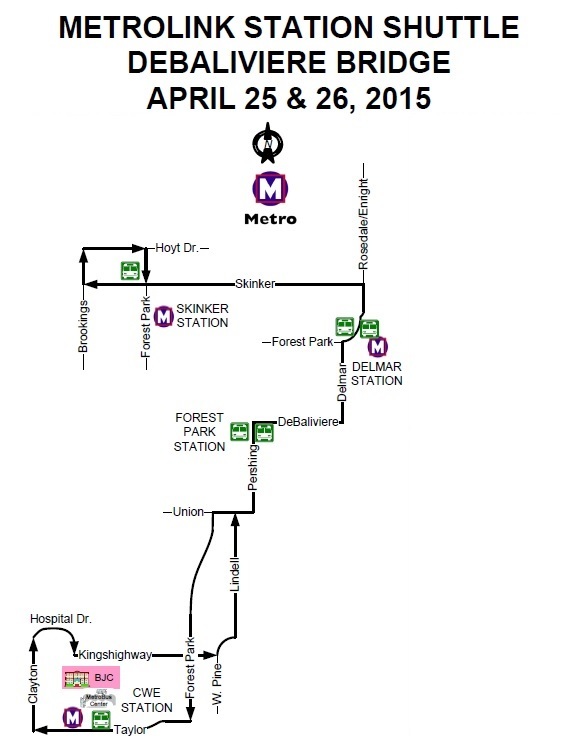 (Updated 4/23/2015 at 4:16 p.m.): The MetroLink Station Shuttle, scheduled for this weekend April 25-26, has been postponed. 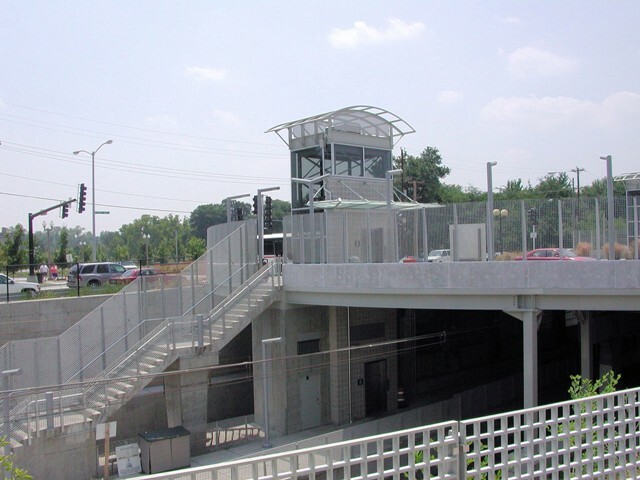 Demolition work on the DeBaliviere Bridge at Forest Park Parkway in St. Louis scheduled for Saturday and Sunday, April 25 and April 26, will impact Metro passengers. Because the weekend demolition work will occur above the MetroLink tracks at the Forest Park-DeBaliviere MetroLink Station, trains will be unable to operate on that section of the light rail system from the start of Metro service Saturday through the end of service Sunday. MetroLink customers will be transported instead by bus shuttles between the Skinker, Delmar Loop, Forest Park-DeBaliviere and Central West End Stations. Passengers should plan ahead and allow for 30 minute delays. MetroLink Station Shuttles serving the Forest Park-DeBaliviere Station will pick up and drop off on Pershing Avenue at DeBaliviere Avenue, just north of the station. Regular MetroLink service is expected to resume by the start of service on Monday, April 27. Updates on MetroLink operations can be found on the Rider Alert section or by calling Metro Transit Information Monday through Friday from 7:30 a.m. to 4:30 p.m. at 314-231-2345 or 618-271-2345.